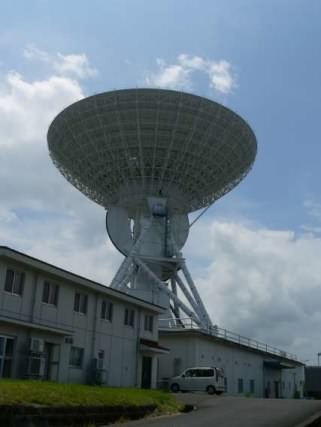 Today, we introduce JAXA's Uchinoura Space Center (USC) where Astro-E2 will be launched. As a space center in Japan, Tanegashima Space Center (TNSC) is the largest, and would be the most famous. 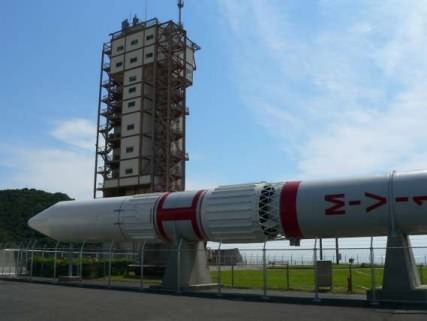 But M-V rockets are launched at a space center in Uchinoura, Kagoshima prefecture, located at the south-east edge of Kyushu main island (Photo 1). 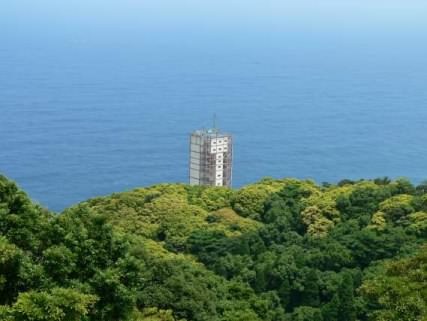 Photo 1: The launch tower of Uchinoura Space Center, facing the Pacific Ocean. The launch tower of M-V rockets are located at the end of M center. The first and the second stages of the M-V No.6, which is going to launch Astro-E2, are already settled in the launch tower, and are waiting for the satellite and the third stage. The building across from the launch tower is the M-rocket assembly building. 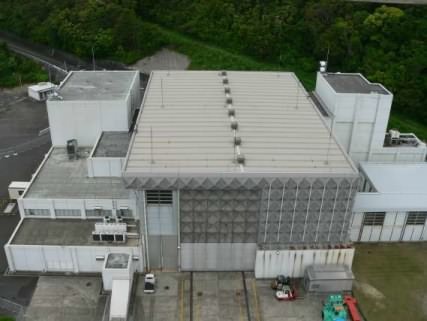 The final assembly of the third stage rocket and the inspection of the satellite are going on in this building. Photo 2: M-V rocket launch tower. In front of the tower, there is a full-size model of the M rocket. It is 30 meter long, and is the world's largest solid-state rocket. Photo 3: M-V rocket assembly building. The assembly of the third stage rocket is going on at the right side of the building while the final inspection of the satellite is at the left side. Near the top of the hill, there is a large parabola antenna, to track satellites. Since its diameter is 34 meters, it is called "34 meter" in the team. Until the reentry into the atmosphere, this antenna connects Astro-E2 in orbit and the earth. Photo 4: The 34-meter antenna which tracks the Astro-E2 satellite after launch. It is the lifeline of the Japanese scientific satellites.